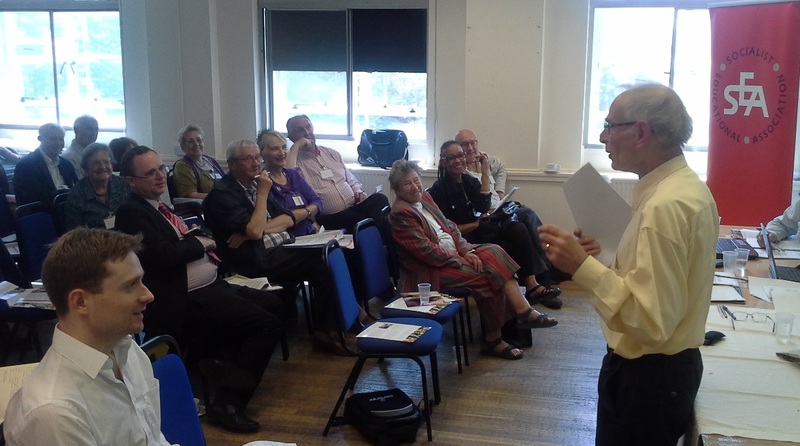 THE SEA held its annual conference in London on Saturday 21st June 2014. It was very well attended by members from across the country who debated motions, engaged in a round table debate on new models of education and enjoyed a brilliant talk by Peter Wilby, the Guardian columnist. The composition of the SEA National Executive has now changed, with General Secretary, Martin Dore, stepping down after six years and with John Bolt taking up the reins. Membership Secretary, Khan Moghal and ‘Education Politics’ editor, Trevor Fisher also stood down and were replaced by Paul Martin and Martin Johnson respectively. David Pavett becomes website officer and will shortly be revealing his plans for our new website. Our membership is growing, the organisation is in good shape and we are determined to place education at the heart of the debate when it comes to the next general election priorities. We will of course continue campaigning for excellent state education for a long time to come. It was a good conference. The Labour Party would do well to pay more heed to the work of the SEA.